The government secretly considered the option of allowing women to ascend the Imperial Throne from 1997, before officially starting a debate on the issue under a panel of experts in 2005, internal documents and other sources showed Thursday. While the plan was later dropped, the confidential talks helped lay the groundwork for the government of Prime Minister Junichiro Koizumi, who served between 2001 and 2006, to lean toward revising the Imperial House Law, which allows only male heirs who have emperors on their father’s side to reign. The secret meetings started in 1997 under then-Prime Minister Ryutaro Hashimoto and were attended by government members such as Deputy Chief Cabinet Secretary Teijiro Furukawa. At that time, Emperor Akihito had no grandson. “We were aware that we had to think about how to ensure stable succession,” Furukawa said. The meetings continued until 2004, and a document compiled in May that year called on the government to “swiftly start considering” changing the law to allow women and their descendants to ascend the throne. 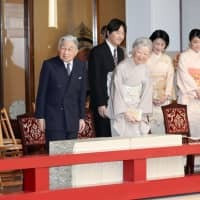 Koizumi launched an advisory panel on the issue that wrapped up nearly one year of discussions by proposing in 2005 that female monarchs be allowed, in a bid to avoid an expected succession crisis for the world’s oldest hereditary monarchy. 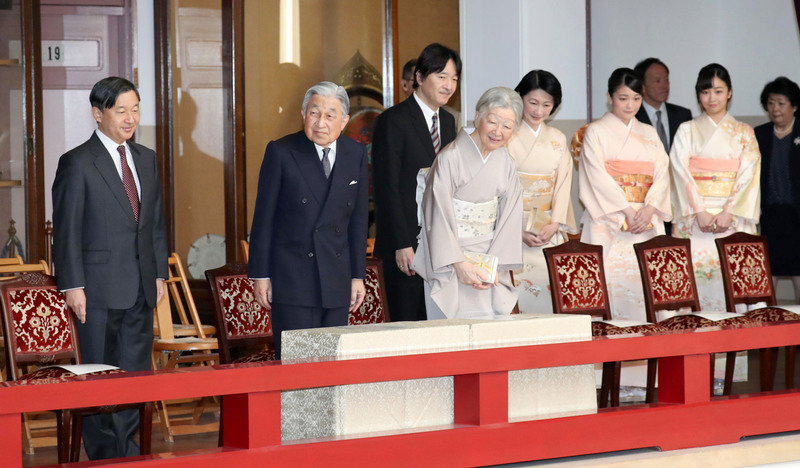 Koizumi was eager to pursue the proposal, but the plan fizzled out following the birth in 2006 of Prince Hisahito, the Japanese Imperial family’s first male heir in 41 years, to Prince Akishino and Princess Kiko. With the 85-year-old Emperor set to abdicate April 30, the first Japanese monarch to do so in about 200 years, the issue of stable succession is once again under the spotlight. Crown Prince Naruhito, 59, will ascend the throne the following day. There are currently 18 Imperial family members and 13 of them are women. After the Crown Prince ascends the Chrysanthemum Throne, there will be only three male heirs — the Crown Prince’s younger brother Prince Akishino, 53, Prince Hisahito, 12, and Prince Hitachi, 83, the younger brother of the Emperor. The conservative governments led by Prime Minister Shinzo Abe, including his first between 2006 and 2007, have been cautious about changing the male line of succession, although they do apparently recognize the need to address the dwindling number of Imperial family members. The 1947 Imperial House Law stipulates that only men can succeed to the throne, and requires women to abandon their Imperial status after marrying commoners.